Well, I had an interesting night last Friday! The “Georgie Pie Super Smash” was in town, with New Zealand’s domestic cricket teams fighting it out for T20 supremacy. As you know, I love cricket, so when the call went out for people to give a hand I readily volunteered. You probably even saw me there, but I doubt you would have recognised me. Aside from the cricket, there were other events around the ground on the weekend – a bouncy castle, trade stalls on Saturday and Sunday and team mascots roaming the grounds. 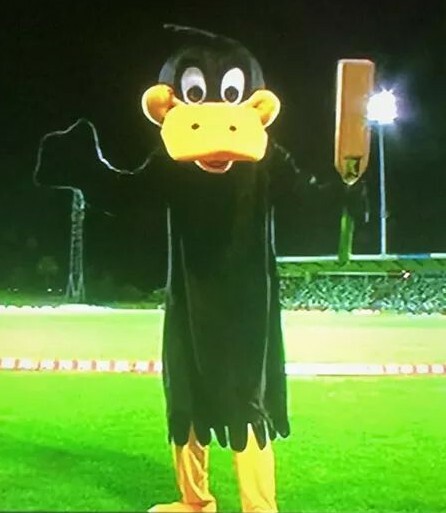 Whenever any batsman got out for zero runs or a “Duck” in cricket, it was my job to tramp out onto the field, pack a hissy fit and then dejectedly drag my bat back to my post on the boundary until the next duck happened. There were three on the night I was dabbling as Daffy – which made me not only the tallest duck of the weekend, but also one of the busiest. The ground announcer proceeded to play Prince’s “Purple Rain”, followed by Guns & Roses’ perfectly timed “November Rain”. I love 90’s rock, so couldn’t resist waddling out to the field and launching into an epic “Ducky Hendrix” air guitar cover of Slash’s great guitar work on his bat to entertain the crowd… right up until “November Rain” was mercilessly cut short (somewhere around Saturday the 22nd) and faded into the next song, just as the biggest, best guitar solo of the song was about to kick in. Duck’s head dropped disconsolately, his posture slouched and once again he trudged off the field dragging his bat. Ducky Hendrix had left the building. 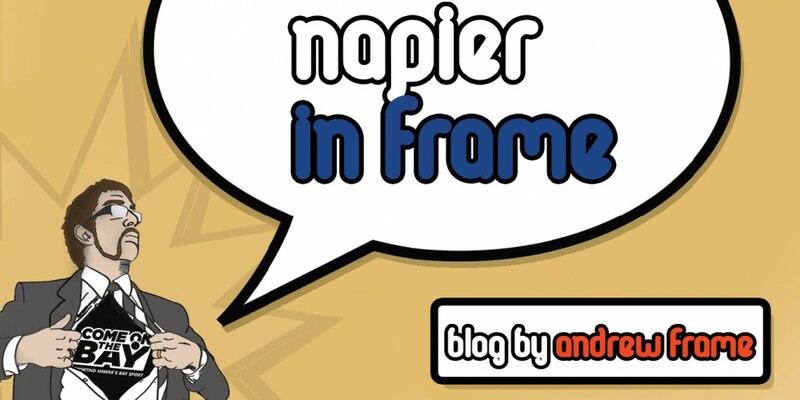 This entry was posted in Hawke's Bay, Humour, Media, Sport, Writing and tagged Hawke's Bay, Humour, Napier, Opinion, Tourism, Writing by Andrew Frame. Bookmark the permalink.